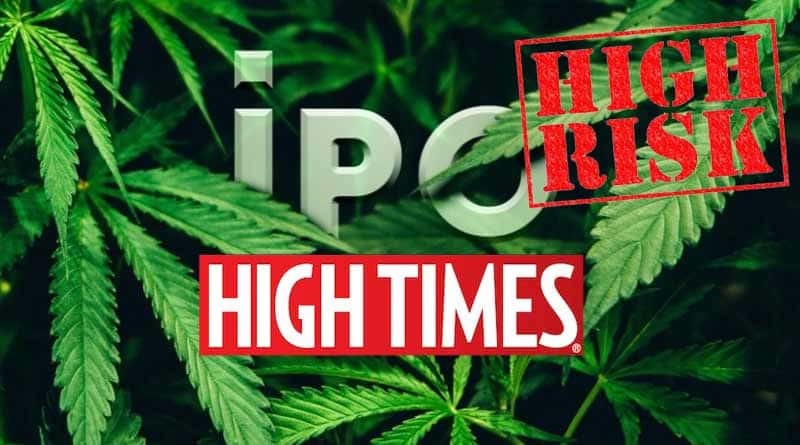 Sept 18, 2018 – Seeking Alpha recently criticized the hype surrounding the High Times IPO offering. In the analysis they indicated the crowdfunding scheme to raise capital provides a ripe environment for the company to raise money, but likely from unwitting investors that do not perform the due diligence necessary to understand the risks. They believe it’s a real bad deal for retail investors and compares it to junk stock. The article points out potential problems that a Regulation A+ IPO like this and how the crowdfunding platform allows investors with little money to compete with accredited investors. They indicate that they do little research and have poor knowledge. From Seekingalpha.com:. “High Times (HITM), founded in 1974 as a monthly print cannabis magazine, describe themselves as the “original voice in cannabis.” The company has about 40 employees working from offices in New York and Los Angeles. So while not a cutting edge hi-tech firm out of the Midwest, buying into the High Times IPO very much carries substantial outsized risk. It would be prudent for potential investors to exercise more care. Their IPO will be a substantial event and watching the stock rise and fall over the coming months will be interesting. If you plan to invest or have already invested in cannabis stocks, leave a comment below!